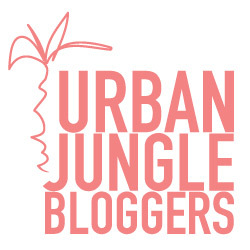 This is actually a thing! I wonder how many people actually observe this holiday? Do you? I jumped with excitement ready to show D that taking your plants for a walk was actually a thing! In my search I also found this children’s book on Amazon titled “But why can’t I…take my plant for a walk?” Funny! Armed with my new-found knowledge, I chose a few succulents I had then recently purchased and were in need of some sun therapy and adorned my basket with a few air plants too. I simply attached them to the basket with some wires. 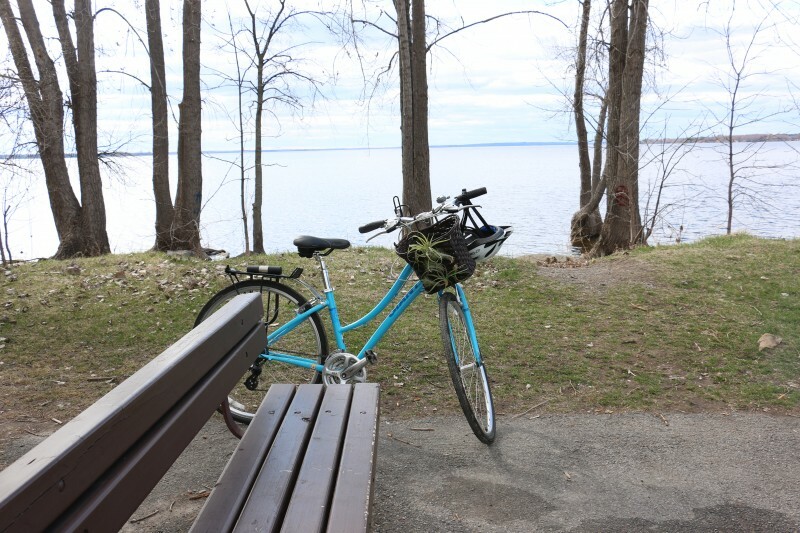 We headed for a bike trail near us that follows the course of the Ottawa River. There, we enjoyed a nice breeze, hot sun, and a beautiful scenery all in 15oC weather. While admiring my airplant basket, I noticed one of my airplants had fallen off 🙁 Oh no! 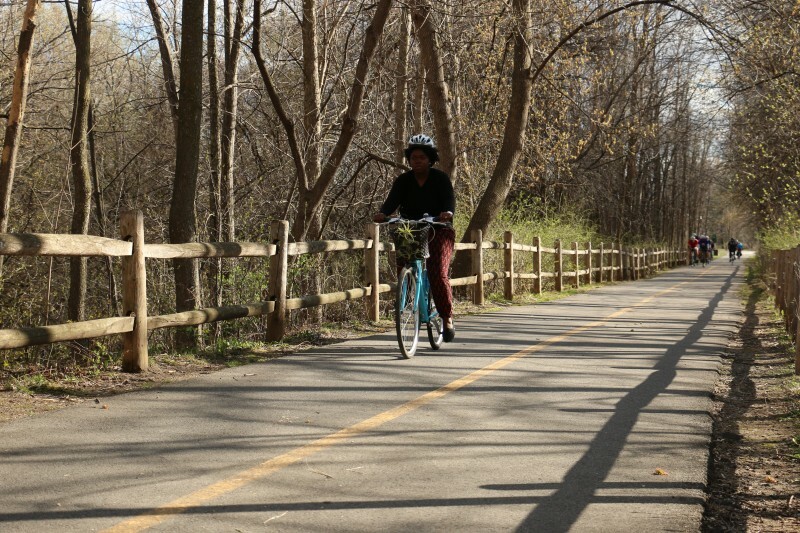 I had a rough idea though, where it would have fallen as I rode over a bumpy spot near our home. Luckily enough, I found it near the traffic light on the street, close to home. We were gone at least 2 hours and I was surprised to find that the airplant was intact and not trampled over by a car. Woohoo! 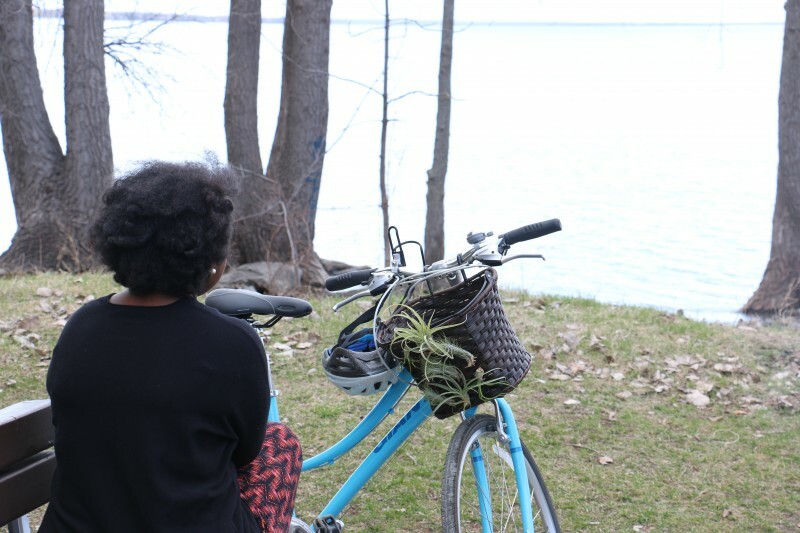 It was fun to take my plants out for a ride and the funny thing is, while I was a bit self-conscious about my plant adorned bike, I think most people on the trail hardly even noticed! I should definitely do this more often now that summer is here, and you can too. 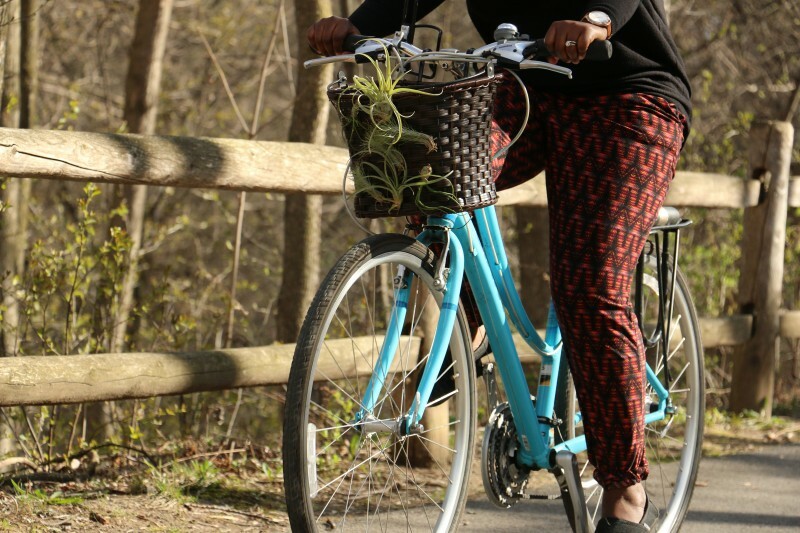 Remember to mark July 27th on your calendar and join other plant enthusiasts who are brave enough to venture out with their plants on a bike…or on a leash 🙂 . Use the hashtag #go_takeyourhouseplantforawalk on Instagram and Facebook on July 27th or any day after and share how you spent the day. I will include some of the pictures in my blog post for that day! Wow! That looks like fun. Interesting idea I might have to try. What a fun post! 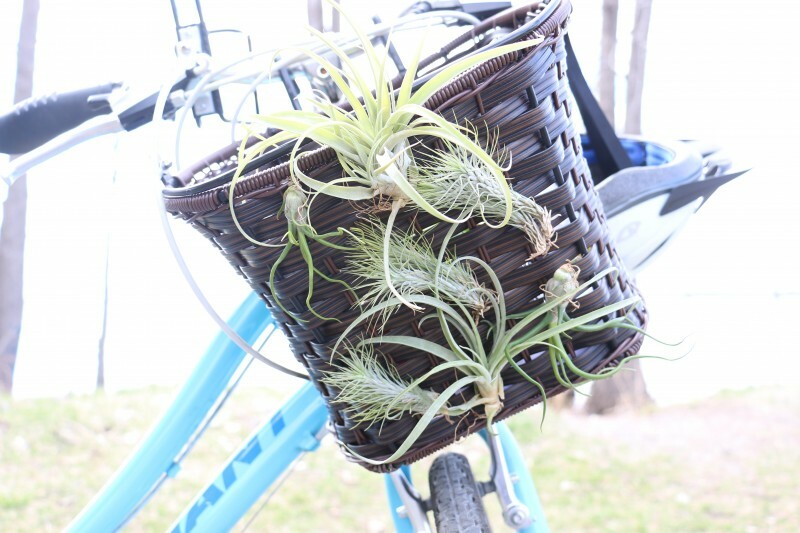 Plants often ride home from nurseries in my plant mobile but I’d never thought of taking them for a walk or a bike ride. The holiday sounds illy but I think its a great way to get other people thinking about plants and perhaps making them an addition to their home if they don’t already have one 🙂 I didn’t even know it existed and laughed so hard when I learned that it did. Never, never thought of taking my plants for a walk or a ride. It’s the first time to hear about it but it definitely deserves a try. 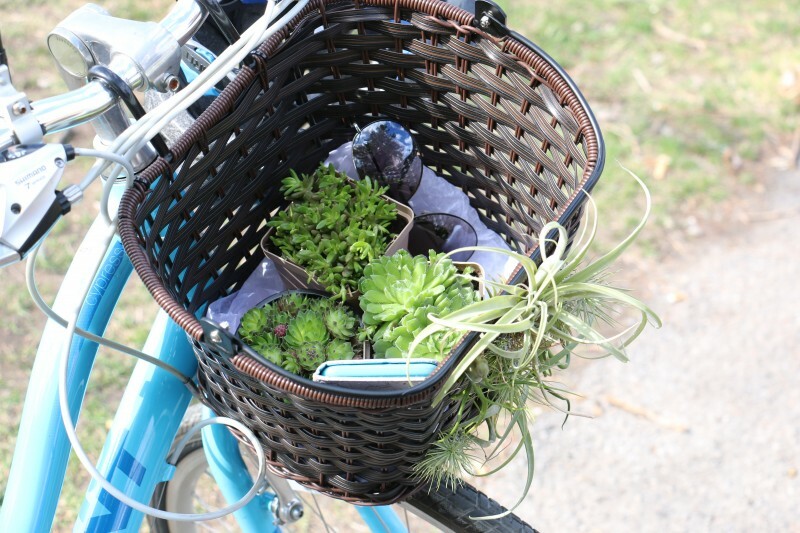 I enjoyed the bike ride and I think my plants appreciated the fresh air and sun too!